The best real estate investment strategy is… – Real Estate Life. For my money it’s the 1031 tax-deferred exchange. The 1031 allows owners of investment property to exchange certain types of property and may defer the recognition of capital gains or losses due upon sale, and hence defer any capital gains taxes otherwise due. In essence you can sell (exchange) your rental condo in Arizona and buy a duplex in San Diego. The catch is the properties must be “like-kind” which means the properties must be investment property. It does not matter if one is a single family home and the other is a 4 unit building. Like-kind simply means property held for investment. 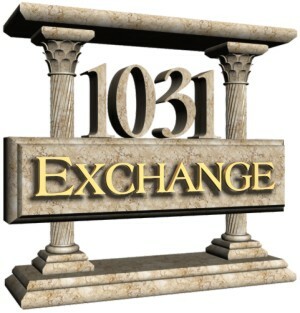 Now, there are many rules to follow, which I will cover in my next post, but I want to show you the real benefits of a 1031 exchange. Here are the 5 main reasons to exchange, courtesy of Asset Preservation. to defer 100% of both Federal and State capital gain taxes. This essentially equals an interest-free, no-term loan on taxes due until the property is sold for cash! Often the capital gain taxes are deferred indefinitely because many investors continue to exchange from one property to the next, dramatically increasing the value of their real estate investments with each exchange! which therefore increase the investors’ return on their investment. apartments – one in Los Angeles, California, and the other in Dallas, Texas. Another diversification alternative is acquiring a different property type, such as exchanging from several residential units to a small retail strip center. suited to on-site maintenance and management. Exchanging into a single apartment complex with a resident manager is a good example of this strategy. large property into several smaller properties, an investor can designate that, after their death, each heir will receive a different property, which they can either hold or sell. Stay tuned for the next post relating to the 1031 exchange where I will cover the anatomy of the exchange and also share a case study. This entry was posted in Agent Issues, Broker Issues, Buyers & Sellers, Investors and tagged 1031 exchange, california, capital gains, foreclosures, home, homes, houses, jason lopez, loans, mortgage, property, real estate, REO, short sales, tax deferred exchange, taxes. Bookmark the permalink.